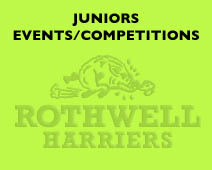 Juniors Events / Competitions – Rothwell Harriers & A.C.
On the sunny but sometimes chilly weekend of May the 12th and 13th Rothwell Harriers & AC seniors and juniors sections took on the Yorkshire championships. First up in the U15 800m qualifying was William Randall. In what should have been an easy qualifying race, he almost gave everyone a heart attack with the slow pace and then 10m dash for the line when almost caught and pushed out of the automatic qualifying by some fast finishing youngsters. Joe Smith was next up in the U20 400m and qualified with ease for his final. Job done we moved on to Harvey Norden in the U17 3000m. Harvey was in for a battle for bronze, but paced it perfectly to hold off a challenge for over 6 laps and with 500m to go pushed on again and again to eventually break his pursuer and claim Bronze in a new Personal Best and club record. The final of the U15 800m was next with William Randall in a race with 4 who could run sub 2:07. 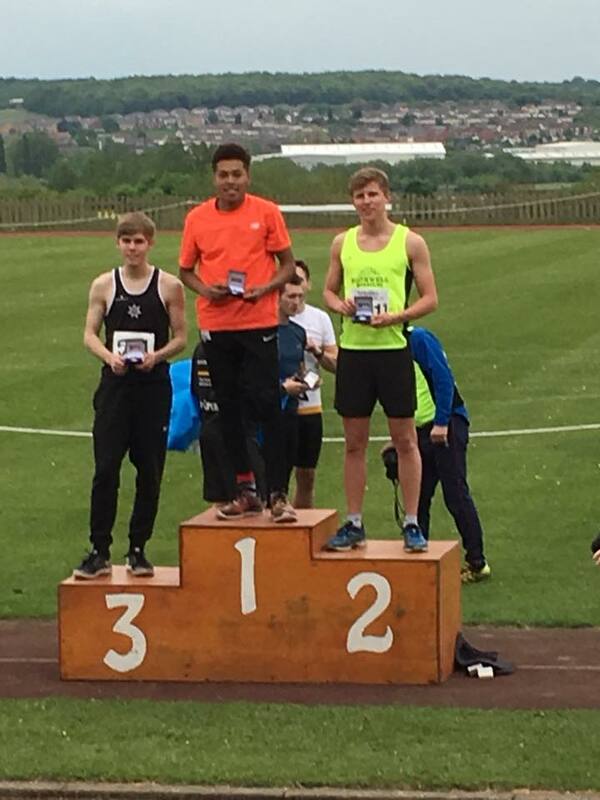 After a blisteringly quick first lap the group of 4 pushed on and in the fastest Yorkshire 800m final in 5 years in a new PB and club record William secured a bronze. As the sun was setting on a great day Joe Smith stepped onto the track in the final of the U20m 400m. A relative youngster in the age group a fantastic performance saw a shocked Joe secure a silver medal in superb fashion. A fantastic day for the club. 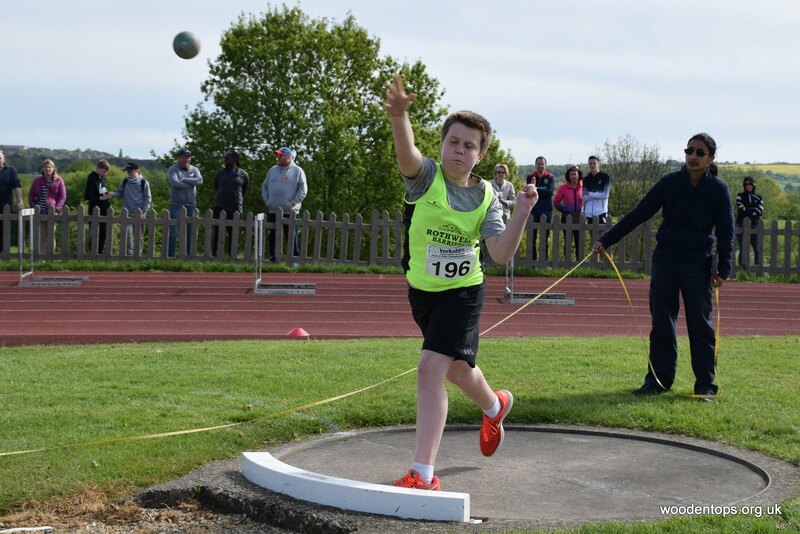 Sunday morning with the Yorkshire sun shining was James Randall’s turn to take on the U13 Shot Putt. With some fantastic throwing taking place a hard effort on James’s part was only enough for 4th. Always the hardest place to finish just outside the medals but the season is young. In the afternoon of Sunday it was the turn of the Senior’s to compete for the club. Veteran and Club Chair Paul Howard raced heat 2 of the 800m and finished 5th with a new PB but sadly not good enough for the final, somewhat of a relief after that effort he said. 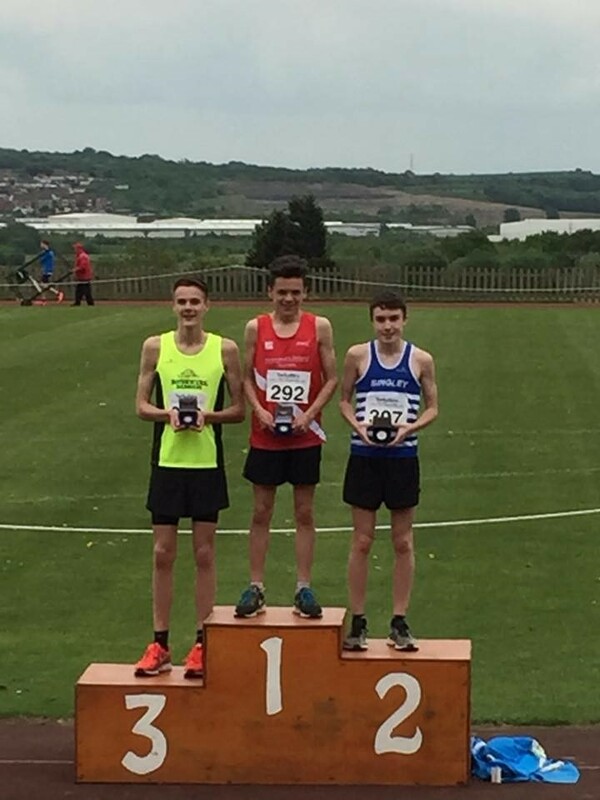 Will Collumb then lined up for the 5000m final and finished 6th and recorded a new PB in just under 16 minutes. 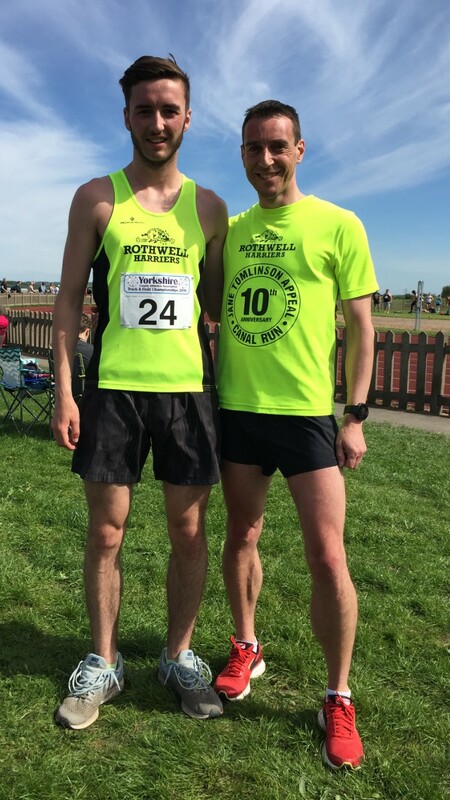 Paul Howard added “It is a privilege to have James Wardman on board as one of the most experienced coaches in the club, James himself is a very talented athlete and knows what it takes to keep the club’s competitive athletes in shape and mentally focussed in order to achieve their goals. Having personally trained with the medallists on the track in recent months, it isn’t a surprise they are achieving great things for themselves and the club, they all work extremely hard and are committed to the sport”. This is the main track series we compete in. 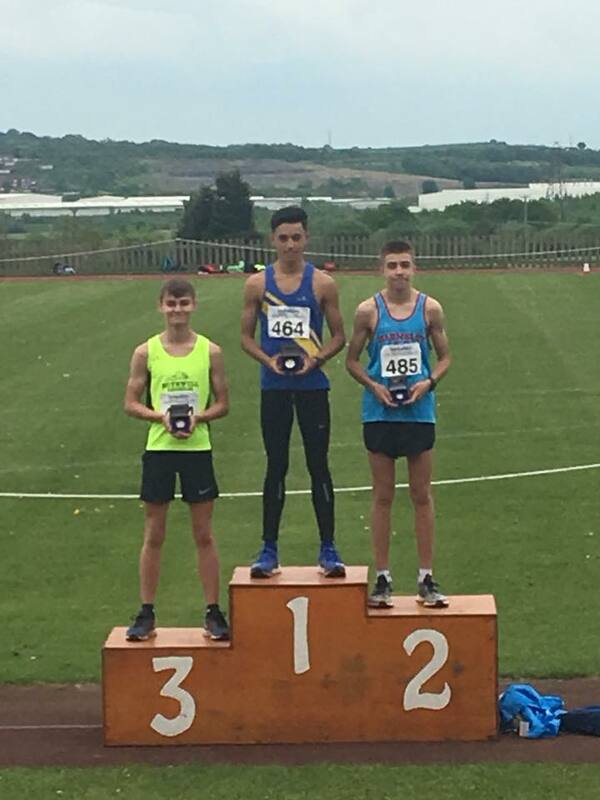 Details and results of the league are shown on www.westyorkshireathletics.org.uk Well done to all our junior athletes who competed for the club. Details and results are shown on www.cityofyorkathleticclub.net/summer-league Well done to all our junior athletes who competed for the club.